Eugenio Fernández Vázquez / Rainforest Alliance - All rights reserved. According to the Center for International Forestry Research (CIFOR), more than 13 million hectares (32 million acres) of forests are lost globally every year, an area around the size of England. Community-based forest management now comprises 8 percent of the world’s managed forests, and up to 20 percent of Latin America’s forests. Recently released research says that more rule-making autonomy at the local level leads to better forest management and improved livelihood benefits. Published in the journal Forest Ecology and Management, a new study compares deforestation rates in protected areas and in community managed forests and finds that community managed forests are at least as good, and sometimes better, at reducing deforestation than strict protected areas. 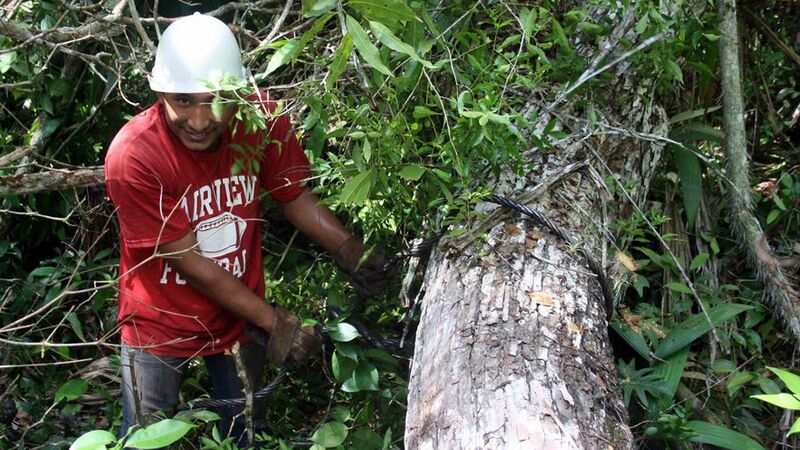 “When done properly, the benefits of community-based management can be seen over the long term, leading to greater conservation participation, reduced poverty, increased economic productivity and the protection of many forest species,” Guariguata said. Research for the report, entitled Community managed forests and forest protected areas: An assessment of their conservation effectiveness across the tropics, compared peer-reviewed studies covering 40 protected areas and 33 community managed forests in 16 countries across Latin America (11 countries), Africa (two countries) and Asia (three countries). Eugenio Fernández Vázquez / Rainforest Alliance. While protected areas lost an average of 1.47% of forest cover per year, community managed forests lost just 0.24% per year. The underlying causes of deforestation are interesting. Human population growth is exerting pressure on 70% protected forests with high deforestation rates. Infrastructure development and economic activities just outside the forest (such as coffee production in Costa Rica and Jamaica) is an issue in 55% of the protected areas that faced deforestation. In two of the protected areas (in Indonesia and Mexico) commercial forestry activities and timber markets are driving deforestation. The ejidos in Mexico exemplify how the maintenance of forest cover in CMFs can occur even with the presence of deforestation pressures. The authors acknowledge that their findings are subject to the limits of existing case studies of deforestation, particularly in community-managed forests. There are few peer-reviewed case studies of deforestation, particularly in Africa. It is also possible that a “selection bias” is at play, where researchers have chosen successful examples of community managed forests for their case studies. Another possible bias is that protected areas were established to protect forest where the threat of deforestation was high. It is possible that community managed forests show lower deforestation rates because the threats to the forest are not as serious. Another problem is that community managed forests are vulnerable. Protected areas are mapped and documented by state forestry departments, even if they are little more than “paper parks”. Subsequent research will reveal any destruction of the forest. If, on the other hand, a palm oil company sends the bulldozers into a community managed forest the chances are that the only people that knew anything about the management of the forest and its boundaries are the local community. The forest, and its management system, disappears almost without trace. That is not the fault of the community or their management system, but a failure of the forestry authorities and the palm oil company to recognise either. As billions of dollars are being channeled into the Reducing Emissions from Deforestation and Degradation (REDD+) climate change mechanism that pays developing countries to protect forests, the paper suggests that community-managed forests could be a more cost-efficient and effective solution to reducing deforestation and increasing the sustainable use of forests, with the added benefit of boosting local livelihoods. “After decades of expanding protected areas, the need to incorporate human rights concerns and equity into management objectives is now unquestioned. 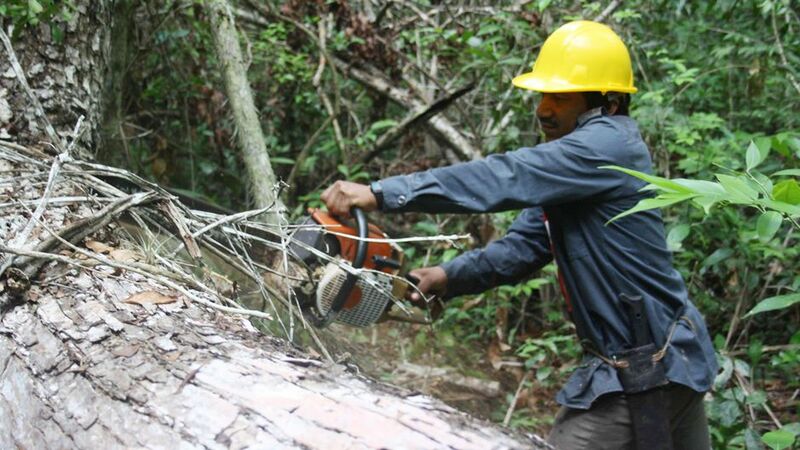 REDD+ schemes could provide an opportunity to recognize the role that local communities play in reducing deforestation,” co-author Gauriguata said. Note the careful use of the word “could”. The role of local communities in managing forests must be recognised. 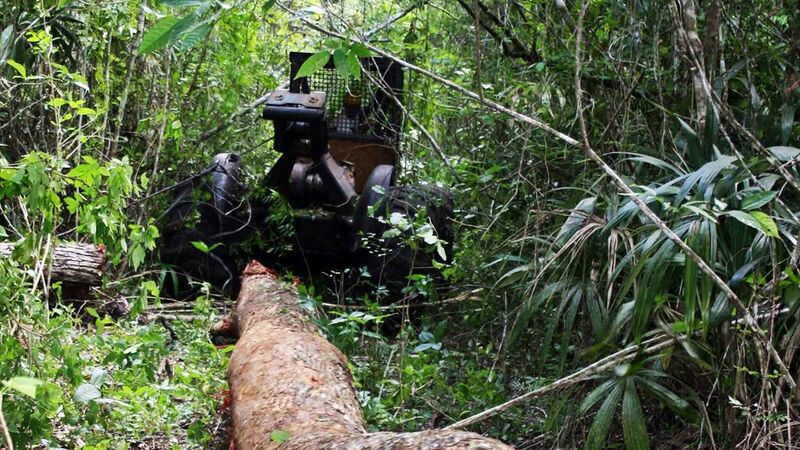 But the underlying causes of deforestation must also be addressed — such as the palm oil companies and their bulldozers. Community Management Means Lower Deforestation by Carol Smith is licensed under a Creative Commons Attribution-NonCommercial-ShareAlike 3.0 Unported License. Based on a work at http://www.redd-monitor.org/2011/08/30/new-research-shows-community-managed-forests-have-lower-rates-of-deforestation-than-protected-areas/. We should upload the film to YouTube. Carol Smith, thank you for writing this article. BrendanBarrett, a movie with a more positive outcome is the 1952 “The Big Trees”. Granted, it is a Hollywood film, but inspirational none the less.